Product prices and availability are accurate as of 2019-04-13 10:33:58 EDT and are subject to change. Any price and availability information displayed on http://www.amazon.com/ at the time of purchase will apply to the purchase of this product. This Oster 12-Speed Precise Blend 300 Plus Blender with 3-Cup Food Processor features 12 speeds and a pulse feature that provides precise blending control. The six-cup, dishwasher safe, Boroclass glass jar is thermal shock-tested so you can pull it out of a steamy dishwasher and safely make a frosty cold beverage right away. 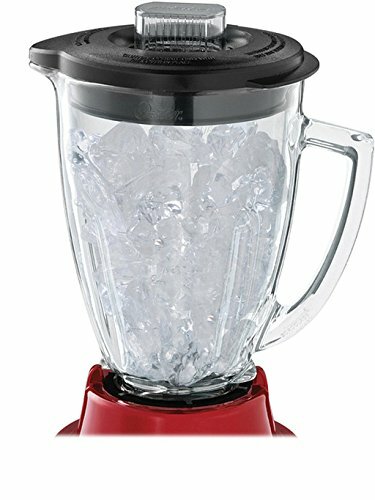 Crush ice with 450 watts of power. Chop and grind with the sharp, resilient stainless steel blade. 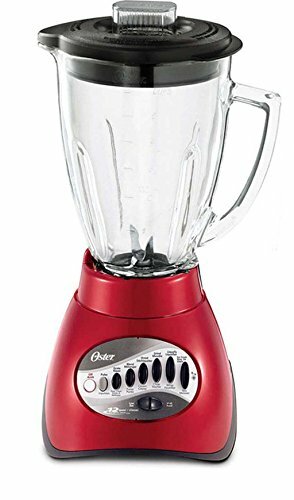 An all-metal drive system (instead of plastic) makes an Oster blender more durable and long lasting. The BPA-free food processor accessory features a large-capacity, 3-cup bowl, perfect for chopping, mixing and mincing vegetables, nuts and more.